I had the awesome privilege to review two of the novellas from the Christmas Holiday Extravaganza series. I encourage you to check them out. Not quite the glamorous life Conner Weddington envisioned during those countless hours of high school skating practices; but after his mother’s untimely death on Christmas Day, Conner joined the Army and left everything behind, including the father who despised his dreams, and his beautiful skate partner, Chaney Mitchum. Chaney Mitchum understands why Conner left, but he stole her Olympic aspirations along with her heart. She’s never matched that graceful rhythm with another partner, so with her dreams squelched and an adorable niece who requires her attention, Chaney fills her days with diapers and students, not pleasure skating or romance. Now that Conner’s back in town, will he reclaim the joy he once felt about Christmas and faith? Can Chaney and Conner rediscover their poetic elegance on the ice? 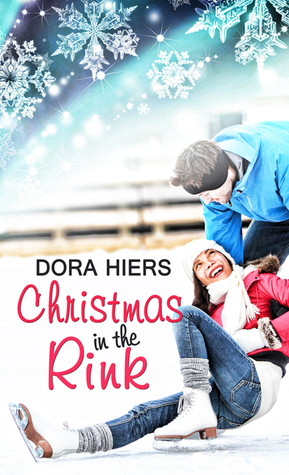 Review: Christmas in the Rink is a well-written romance novella about forgiveness, second chances, and responsibility. The story is engaging, inviting, and inspiring. I loved Ms. Hiers writing style as it pulled me in. I didn’t want to put it down as I just love a good romance, and that’s what this is. I don’t normally do the pricing thing, but I wanted you to see the deals available on this. Don’t wait. The above prices are subject to change at any time, though they are correct at the time of posting. 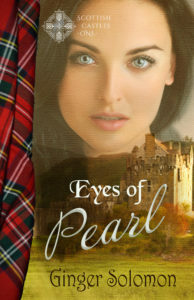 Annabelle Archer has been crushing on Rick Stockton for years. And now, when he notices her, it’s only because her brothers and sisters make it impossible for him to miss her. Annabelle still hasn’t decided if God’s will means she spends her life taking care of her six siblings, or if He has more in mind for her. Rick Stockton doesn’t mind that church activities and Annabelle’s brothers and sisters keep throwing Annabelle and Rick together. He just isn’t sure what it means. But as the kids keep trying to turn Rick into a snow angel—with sugar, baby powder, and more—he’ll work on figuring it out. Spending time with Annabelle’s family gives Rick a longing for one of his own…and an idea to make it happen. This Christmas, Annabelle may just find there’s a special angel in her corner, one that will stick around for a lifetime. Review: I loved the giving attitude in this Christmas novella. While sometimes there are those out there who tend toward the selfish side, this is a season of giving, and this book embodies that spirit. I enjoyed Annabelle’s sweet shyness, and Rick’s acceptance of her family and her responsibility toward them. This was a quick read that I enjoyed a great deal. It was my pleasure, Dora. Merry Christmas to you and yours as well.